Living Room Curtains are UP! A week later and I’m back with my finished DIY curtains! Just remember I am working on improving my photography skills but here is a tutorial on how to make your own for pretty cheap! 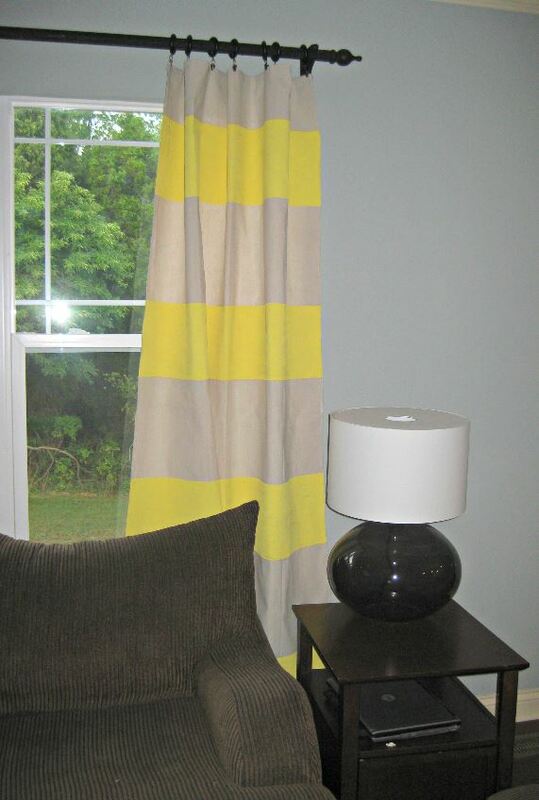 These are no sew curtains and are an easy DIY project. 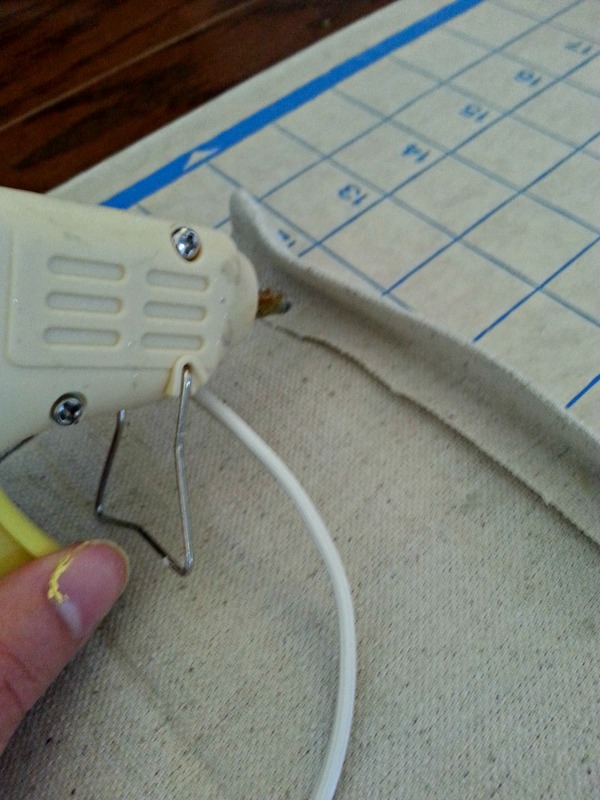 Start off with a canvas drop cloth from your local hardware store. I bought mine from Lowe’s. I cut the canvas in half so I would have 2 valances. 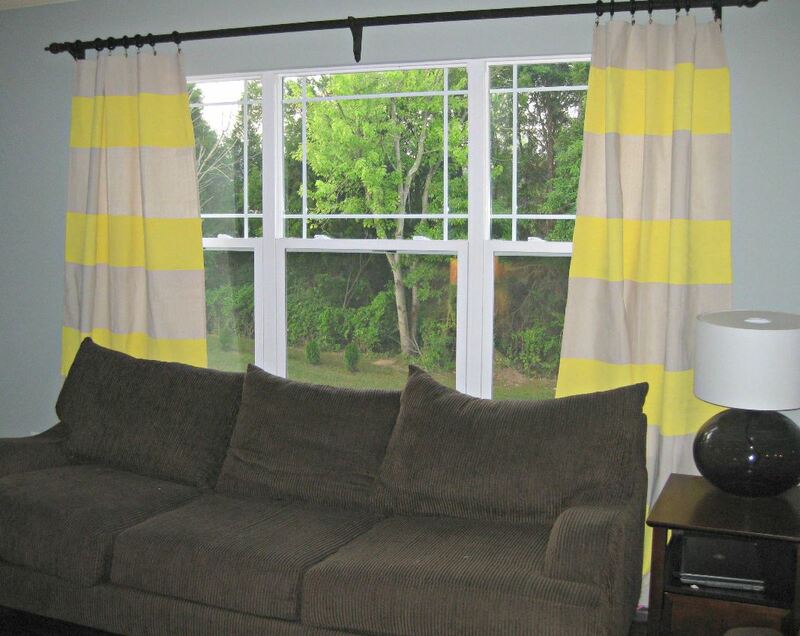 The 2 valances measure approx. 7.5′ x 4′. 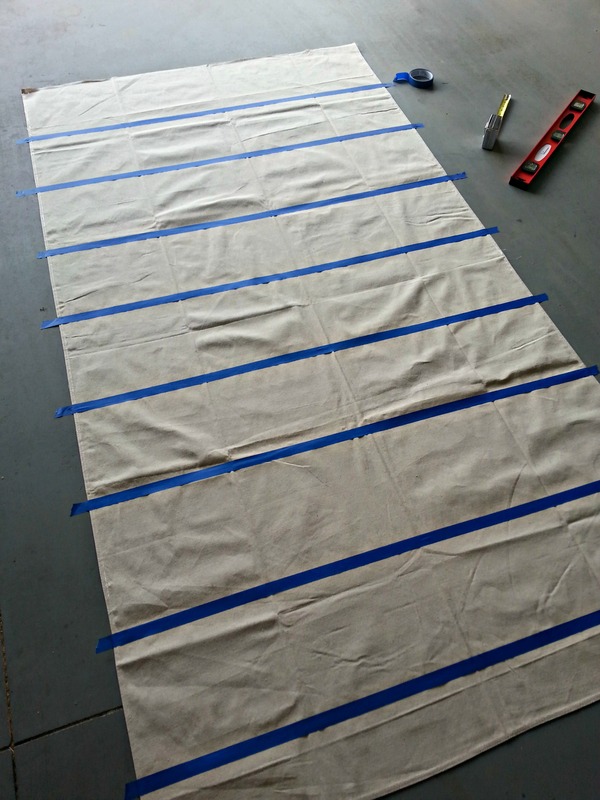 I used blue painters tape and measured off my stripes. I started with the hemmed side of the canvas. 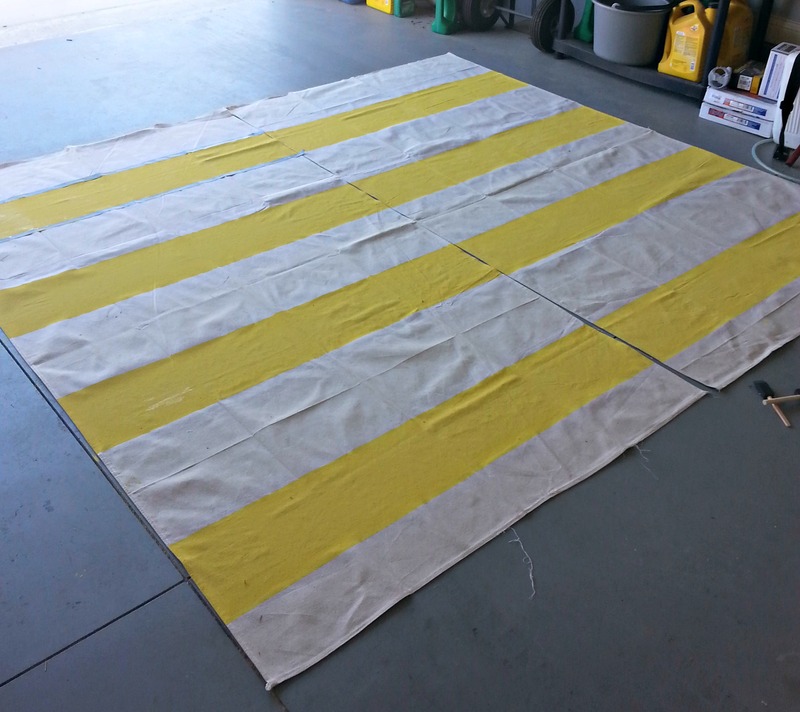 I used acrylic paint and foam brushes to paint my stripes….super easy! I let them curtains dry overnight. Just an FYI the paint will bleed through the canvas so make sure to paint on something you don’t mind to get pretty colors on. Once the curtains are dry I cut the curtains to the length I wanted. 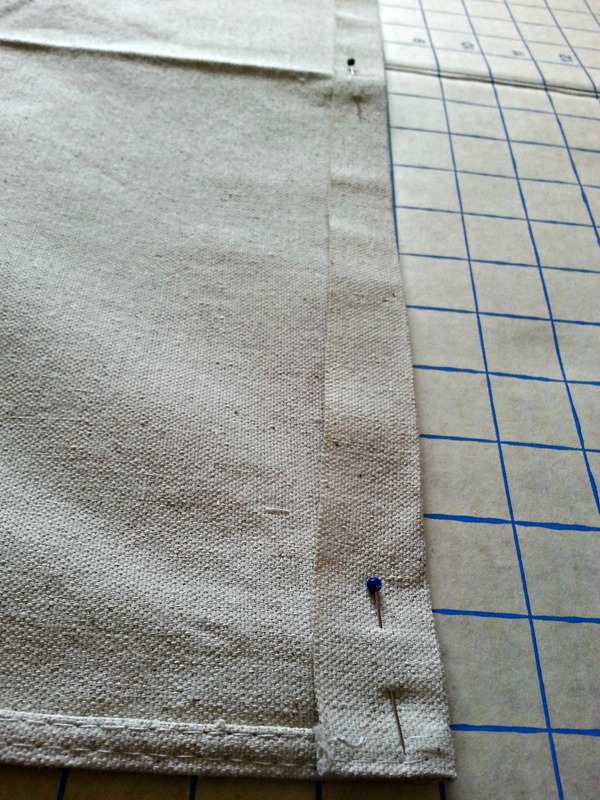 My curtains go all the way to the ground so I just made a straight line and left 2″ for the hem. Next I folded the end 1″ and ironed. Then I did this again and then hot glued the hem. NO SEW! I used clip rings from Lowes. 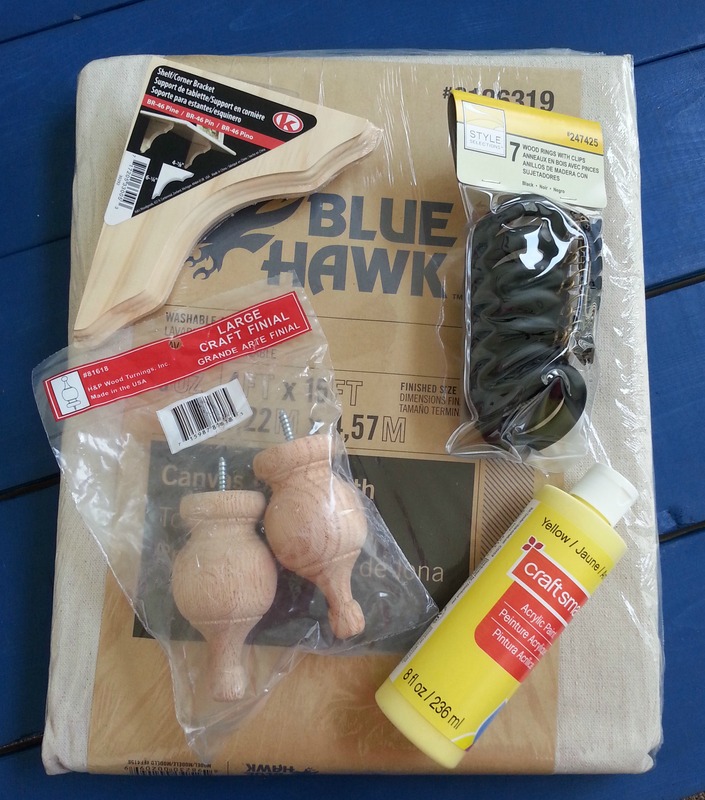 I also made my own curtain rod by using a pole from Lowe’s (you can find in the wood department). I cute the pole to the length I needed. I added finials and rod brackets that are found back with the dowel rods. I stained them with Rust-Oleum Ultimate Wood Stain in Kona. Here is the finished product! Let me know what you think and even better make some of your own and send me a pic!